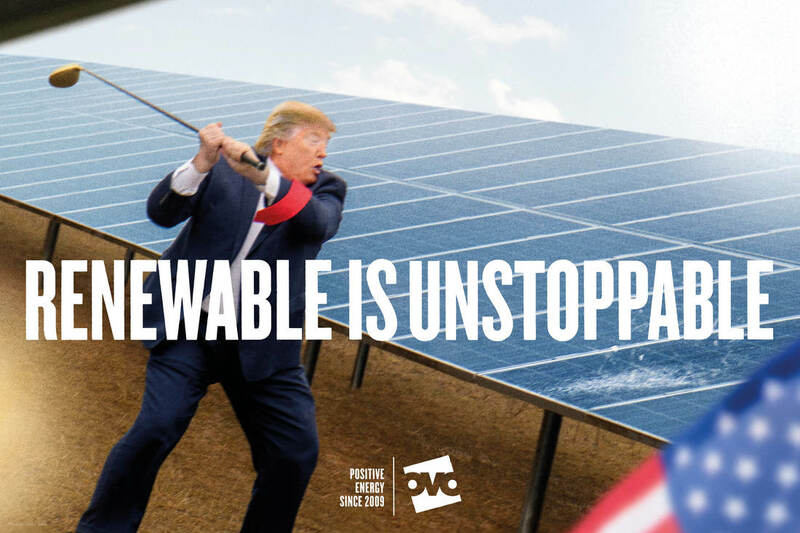 ​In a provocative new film clip renewable energy company OVO depict a Donald Trump look-a-like recklessly trying to destroy a solar panel with a golf club. Released as part of their Power Your Life Differently campaign, the video is a biting satire on the American President's stance against greener energy. A branded version of the clip has also been made, which can be viewed here. ​​The clip aims to suggest that not even certain world leaders, who have been making the 'wrong' decisions regarding greener energy on behalf of the entire planet, are able to truly prevent the progression towards renewable energy.